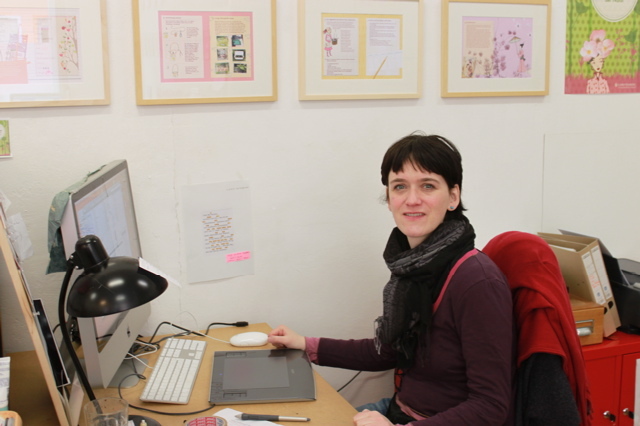 today i have a small talk with the freelance illustrator constanze guhr from berlin. would you please introduce yourself with a couple of sentences? 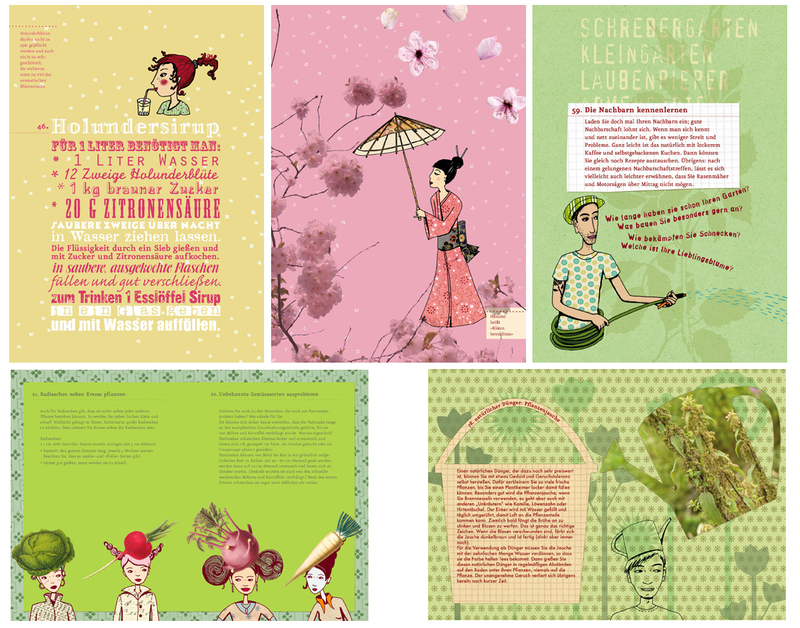 i am an illustrator since 2000 when my illustrations were shown at the bologna children`s bookfair. 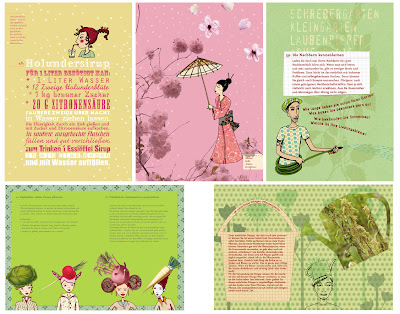 straight after that i could publish my first children’s book at a small publishing house in switzerland. so far it was a long way. i grew up in leipzig so i have a so called east german background including the east german bookart. i came to berlin almost 17 years ago and live here now with my small family a bit outside from the city center. 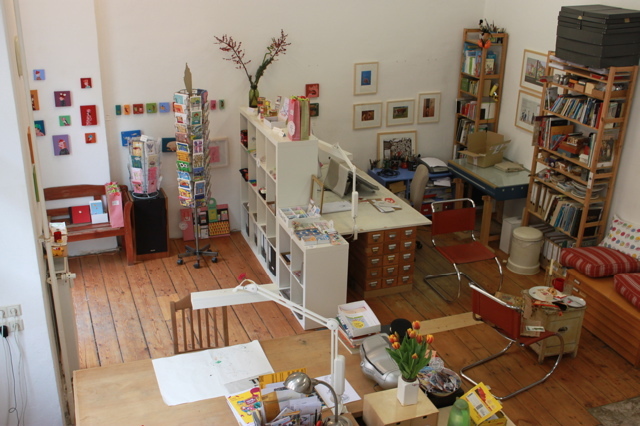 but i come almost every day to the city center where i share a working space petit4 with three other illustrators. at the moment i can realise very fine projects in which i do the illustrations, the layout and also the photographs on my own. its like composing, i put together different objects, papers, pictures, letters, stamps, old prints and my illustrations until i have a fine collage. actually i was studying teaching art, wheni attended a seminar about children`s book illustration and i started loving it. 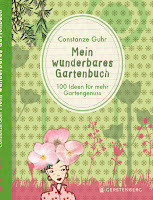 i can find inspiration in the streets of berlin, at shop-windows in cafés, children’s books, magazines, designbooks etc. i also like brainstorming with good friends, talking about projects etc. what do you specially love about your work? What do you love not? do you have any plans or projects for 2011 to share with the readers? i am very happy that the first book that i completely created by myself is out now. 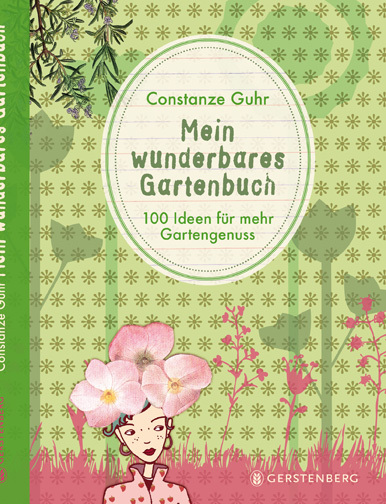 it is called mein wunderbares gartenbuch (my wonderful garden book) published at gerstenberg verlag. i did the writing and illustration. and i was working on it for about two years. thats why i hope it will find lots of readers and of course buyers :). you can also visit my blog. how did you start as a freelancer, what have been the biggest challenges and how did you cope with them? first when you start it is not very easy to find clients. i went to every bookfair showing my portfolio and waiting for jobs. i also contacted newspaper editors etc. it took me about 4 years to become better known by publishing houses and to create my own recognizable style. then i got more and more jobs. what is your typical day routine? at the very end: what makes a felicitous illustration from your point of view? this is difficult to explain because it is something for the eyes. i like illustrations which are poetic, touching, extraordinary and maybe also a little bit rough. i don’t like too sweet and colourful illustrations and also not quick and inaccurate drawings. thanks to heide for proofreading.